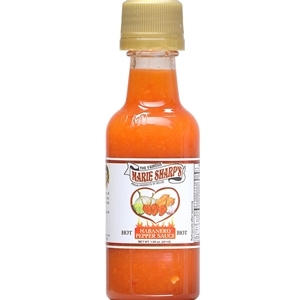 Marie Sharps Red Habanero Hot Sauce has more habanero pepper added to Marie's original pepper sauce formula. Although the heat level has been increased, the sauce retains its original fresh flavor and aroma. 1.59 oz.